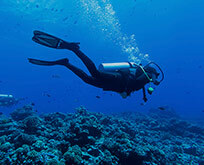 Maui is considered as one of the most romantic places on Earth, which make it ideal place for wedding on a yacht. 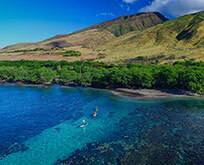 Maui is one of the most beautiful and romantic places on Earth, which is why so many wedding, anniversaries and other exceptional events are celebrated here. 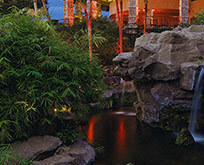 Maui is the perfect backdrop for an evening you and your special someone will always remember. Imagine just the two of you on your own private sunset cruise, sipping your favorite cocktail, enjoying delicious hors-d’oeuvres with soft music in the background. The coastal views and warm, ocean breeze soothes your soul. You pour a glass of bubbly and raise a toast, as the sun slowly sets with bursting shades of pink and orange. It’s the perfect setting to show just how much they mean to you. 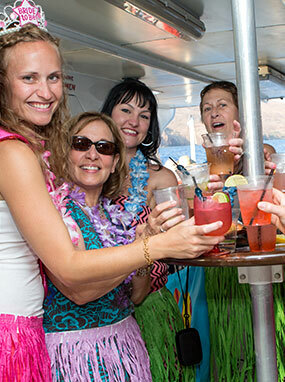 We provide a continental breakfast and delicious BBQ lunch, cooked right onboard our 50-foot custom vessel. 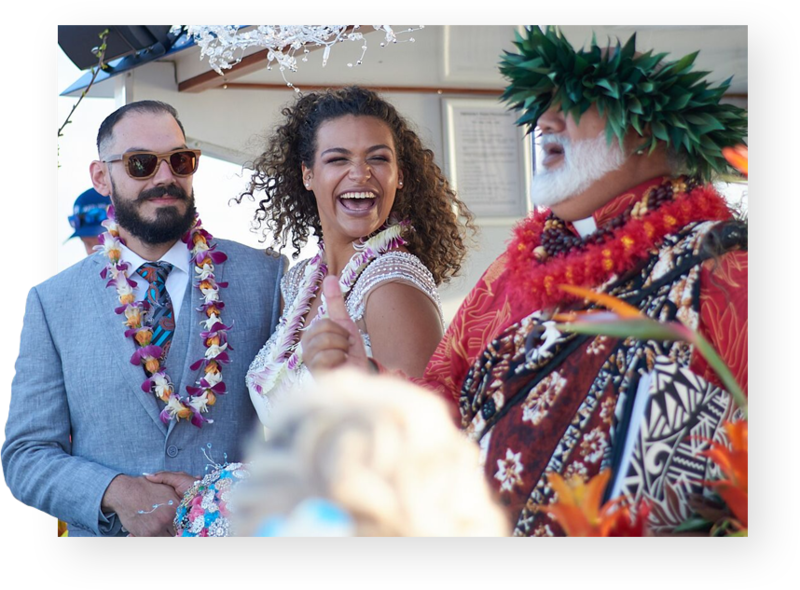 Yes, we have guests that have both their ceremony and reception all on our vessel. What kind of decorations are we able to bring? You’re more than welcome to bring your decorations. We just ask that whatever you bring be tied down securely to the boat to avoid anything flying into the water. Where am I supposed to wait before the ceremony? In the past we’ve had our groom upstairs, while our bride waits downstairs until the ceremony begins. Then at that time you’ll head upstairs and we can have the ceremony next to our captain’s cockpit right before the sunset. What are the prices for the upgraded menu? Please let me know what menu items you’re interested in and I’ll check with our chef to see how much it’ll be. What kind of limits/rules do you have about having/bringing decorations? We do not allow any glass or ceramics onboard. Balloons will not work as they get pulled out the moment we depart. Tape, staples, etc. cannot be used to hang decor. We can’t allow anything that may leave behind a sticky residue or puncture holes in the vessel. The fishing line tends to be the easiest way to hang decorations. Can we bring a cake on board? Yes, you may bring a cake. We will provide plates and utensils. Aloha Mai No I give my love to you, you give your love to me. 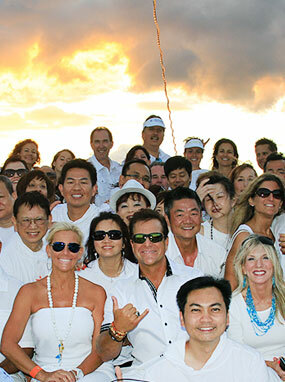 Invite your friends and family to an intimate ocean setting to tie the knot. 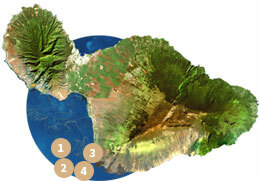 It doesn’t get more romantic than having Maui as your background for your special day. We’ll work with you every step of the way to make sure that even beyond the romantic ceremony, it’s a magical night for you and your guests. 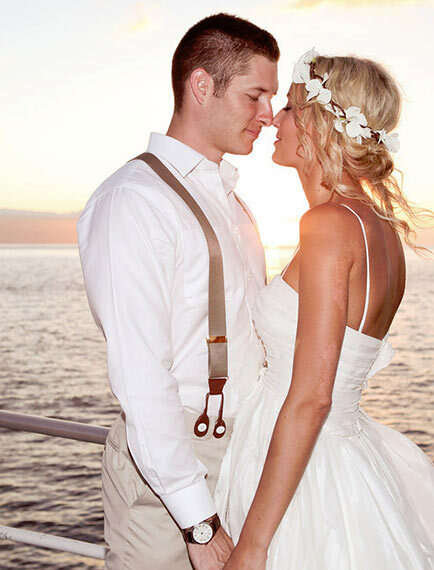 Have you dreamed of a wedding ceremony on the ocean with incredible island views as your backdrop? We want to make those dreams a reality for you! Let us know what you need, and we’ll make it happen. 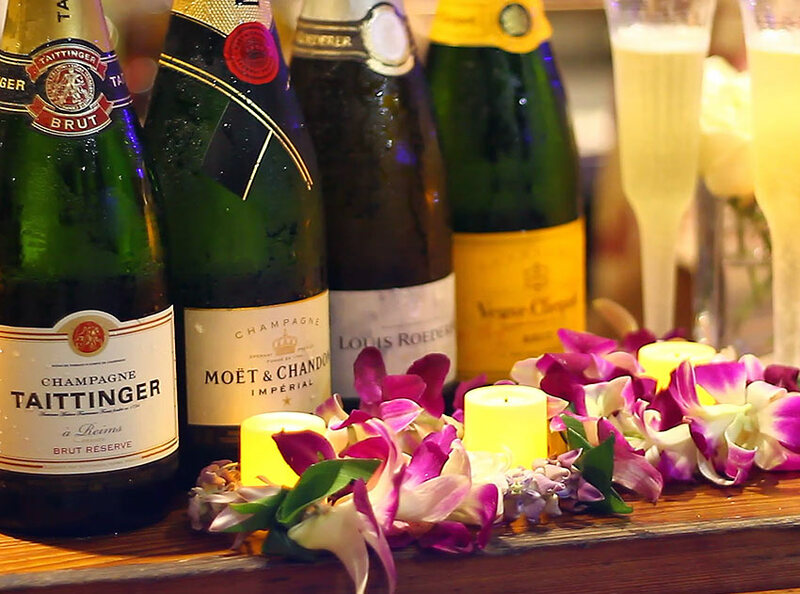 From fine food to ultra-premium bar or live entertainment, we’re here for you. Let's get started planning your very own special event. Maybe the whole gang is celebrating with you. Treat them to a wedding reception they’ll talk about for years to come. It doesn’t get much better than the deep blue ocean and majestic Maui mountains in the back ground, from the observation deck of your very own private motor yacht. The options are nearly limitless. Annie, our Senior Events Planner, is especially gifted at working directly with our clients every step of the way, taking care of all the details so you can relax and enjoy. Let us share our expertise and plan an event that shows your guests just how much you care. 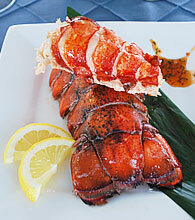 For vegeterian and other dietary requests, please call our reservations line at 808 242 0955. Captain CJ and is crew were awesome!!!! We had so much fun. We started our tour at turtle town because there were so many other boats at molokini, so that really made it enjoyable because we pretty much had both places to ourselves and didn't feel so crowded while snorkeling. Captain CJ and his crew were really friendly and alot of fun to be with. This was the best money we spent while vacationing and would totally do it again.